Hi Adam here, and today I'm going to tell you about the new DX2019 cross-cut shredder from Swingline. Professionals need a hard working heavy-duty shredder. The Swingline DX2019 cross-cut shredder is quiet, strong, and powerful. The sheet capacity of the DX2019 is twenty sheets, and the waste bin holds 19 gallons of shreds. It can also shred CDs and credit cards. The continue operation lets you easily power through the biggest jobs. Self-cleaning and automatic oiling helps you extend life of your investment. And the Swingline DX2019 is durable, reliable, and designed to withstand heavy long term use. They're even eco-friendly by means of an energy saving power save mode with auto wake up and paper bags for recycling. The DX2019 comes with a lifetime warranty on the cutting blades, a 2 year warranty on the machines, and 2 years of on site warranty service is included. These features and more make the DX2019 the right choice for your security, power, and productivity needs. With the capacity to shred 20 sheets of paper at once, as well as paper clips, staples, credit cards, and CDs, this Swingline 1758605D DX20-19 jam free cross-cut shredder is the heavy-duty machine your office or establishment needs to protect your business and customers! 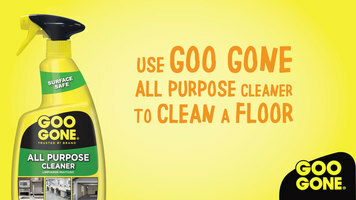 Goo Gone is a great all-purpose cleaner with a variety of uses. See how easy it is to clean a floor with this Goo Gone for excellent results! 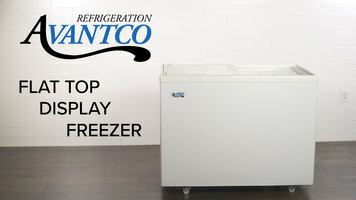 Avantco flat top display freezers make merchandising frozen product easier than ever! Eco-friendly, easy to use, and easy to maintain, this line delivers the convenience you need at a price you can afford. 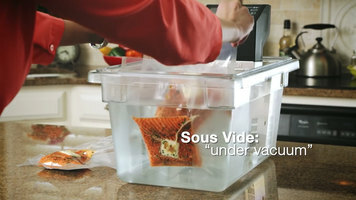 VacMaster: What is Sous Vide? For convenience and consistency, look no further than VacMaster's line of vacuum packaging and circulating products! Watch this video to learn how cooking with sous vide can save you on valuable time while intensifying the flavors of your food.